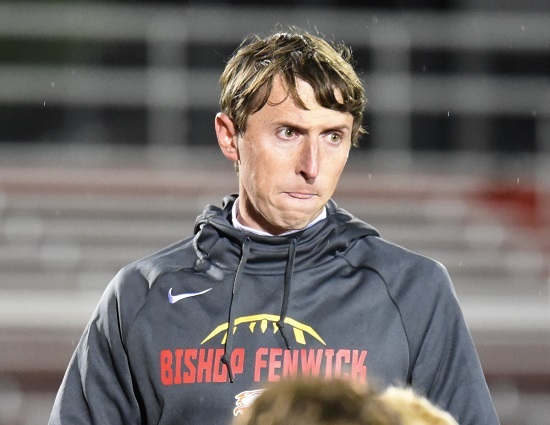 In his first year as the Fenwick head coach, Dan Haverkamp showed the Falcons faithful that the style of football that will be played is very exciting. Fenwick made the playoffs for the first time since 2015, last fall. The offense racked up 4,700 yards (390.9 per game) and averaged 31.4 points per contest in Haverkamp’s inaugural campaign. Repeating that feat isn’t going to be easy. Fenwick loses eight starters on offense and six on defense from last year’s postseason squad. The offensive line must replace five players with starting experience. There will be a new quarterback as well. This side of the ball may take some time to become cohesive. One thing you can bet on is new faces will rise to the occasion. Those who do return have been through the wars and should exude confidence. There is plenty to keep Fenwick motivated. The program hasn’t been to the playoffs in back-to-back season since ‘03 and ’04. The Falcons will play with a chip on their shoulder knowing that they have something to prove. Logan Miller, Jr, RB/S – Was in on 119 total tackles, with one sack, six-and-a-half tackles for losses and four interceptions on his way to Second Team All-Southwest District honors as a sophomore. Miller also ran for 214 and three touchdowns. Tyler Houck, Sr, S – As a junior, Houck racked up 93 total tackles, had four-and-a-half sacks, 11 tackles for losses and an interception. He was named Second Team All-GCL Co-eds for his efforts. Jordan Rucker, Sr, WR – The Falcons top returning receiver, Rucker caught 28 balls for 375 yards with two touchdowns as a junior. That earned Second Team All-GCL Co-eds honors. Jake Berning, Sr, CB – Finished strong with 28 total tackles in the Falcons last five games after injuries slowed him to start 2019. Berning was named Second Team All-GCL Co-eds as sophomore. Eric Hendrix, Sr, OT/DE – A valuable commodity on both sides for the ball. Hendrix started seven games at offensive tackles and had 15 total tackles on defense. John Stevenson, Sr, LB – A key returning starter in the linebacking corp. Stevenson tallied 81 total tackles and had four tackles for losses a year ago. Adam DeBiasi, Sr, DT – An undersized d-lineman with a high motor. DeBiasi recorded 40 total tackles and had a half-of-a sack in seven games as a junior. David Schuh, Sr, WR/CB – A rock solid member of the secondary, Schuh was in 48 total tackles and had an interception in ‘19. He also hauled in six receptions for 80 yards and a touchdown. Carter Earls, Jr, TE/OLB – Earls has a bright future after tallying 38 total tackles, two-and-a-half sacks and four tackles for losses as a sophomore. Paul Bailey, Jr, DT – Made his presence felt with 21 total tackles, with a sack and eight tackles for losses in Fenwick’s last seven tilts a year ago. JT Maxwell, Jr, OL – Will be looked upon for veteran leadership after starting six games at guard as a sophomore. Colt Bradshaw, So, RB – Was good enough to play varsity as a freshman. Bradshaw ran for 135 yards and a pair of touchdowns. Fenwick has won 21 consecutive regular season games in October, dating back to 2014. The last three times the Falcons have made the playoffs they have scored more than 300 points on the season – 2018 (377), 2015 (419) & 2012 (385).